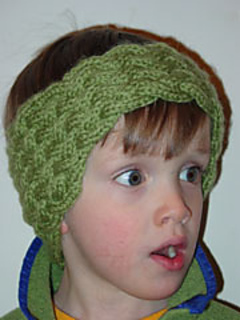 A nicely shaped headband for young and old. The “woven” cable stitch only looks intricate - it’s really easy! Dale Freestyle is no longer available. 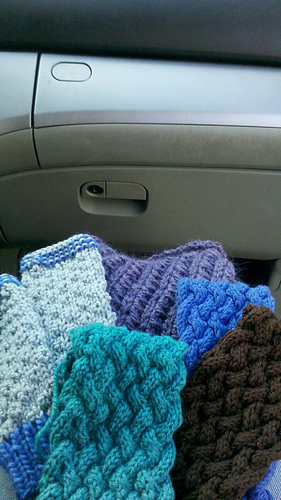 You can substitute with any worsted weight yarn that strikes your fancy. Worsted weight yarns typically have a ball band gauge of about 18 stitches over 4” / 10cm.